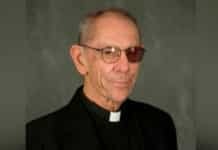 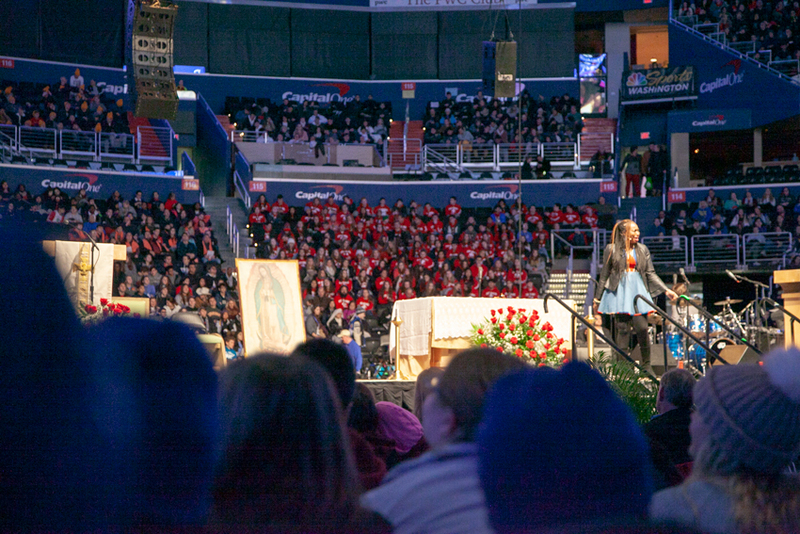 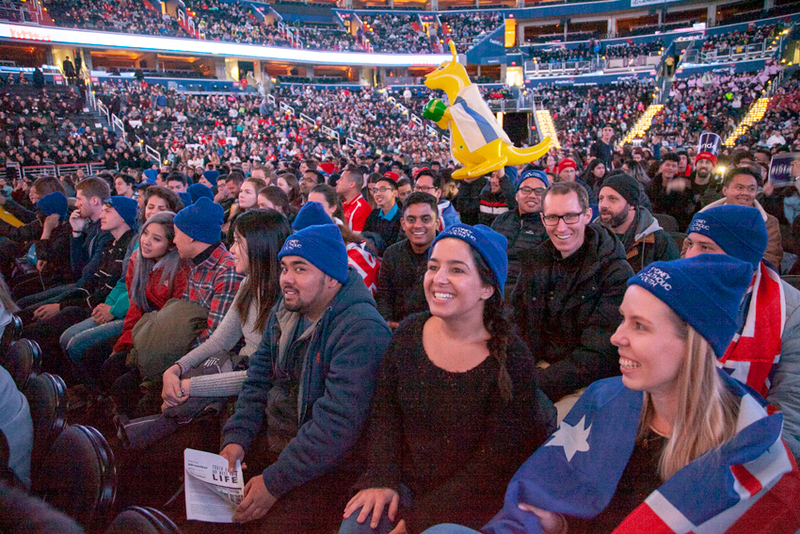 So began Sydney Archbishop Anthony Fisher’s words to the 18,000 pilgrims assembled in Capitol One Arena for the youth Mass which occurs annually before the March for Life. 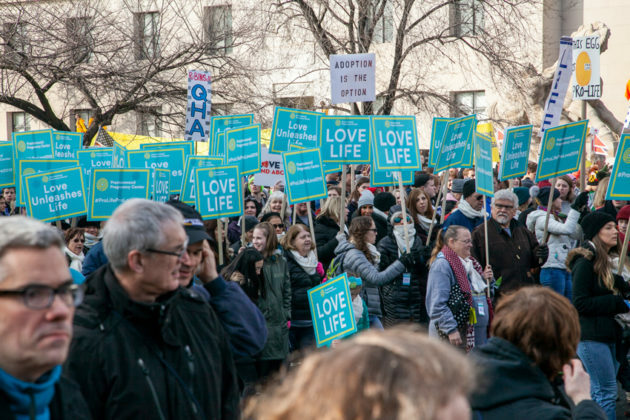 The march itself, which finishes in front of the U.S. Supreme Court, attracts around 200,000 people from around the globe protesting both the practice and legality of abortion. 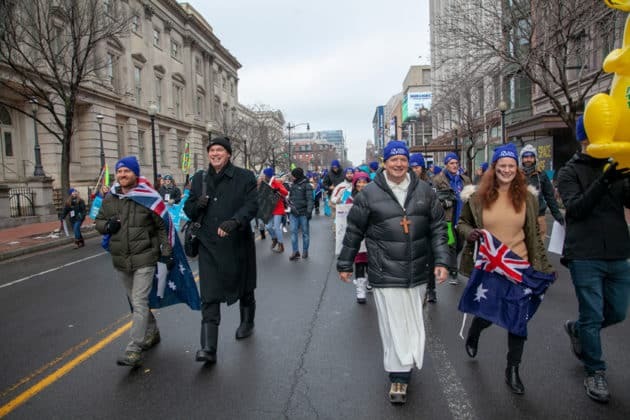 Organisers were thrilled to have such a large Australian contingent taking part and gave them seats right up the front to view the Mass and invited Archbishop Fisher to address the massive crowd. Two inflated kangaroos, about a dozen Australian flags and the occasional chants of “Aussie, Aussie, Aussie, oy, oy, oy!” ensured everyone knew exactly where the Sydney youths were located. 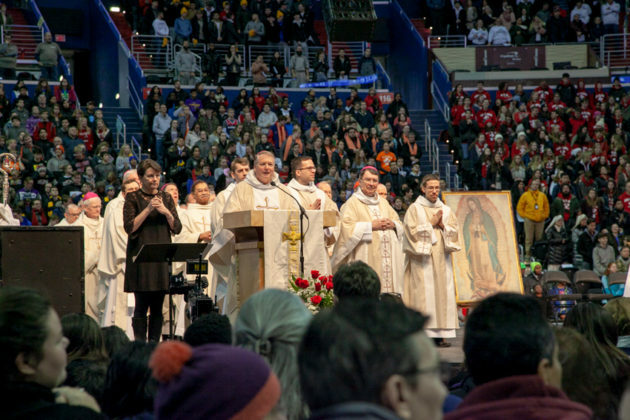 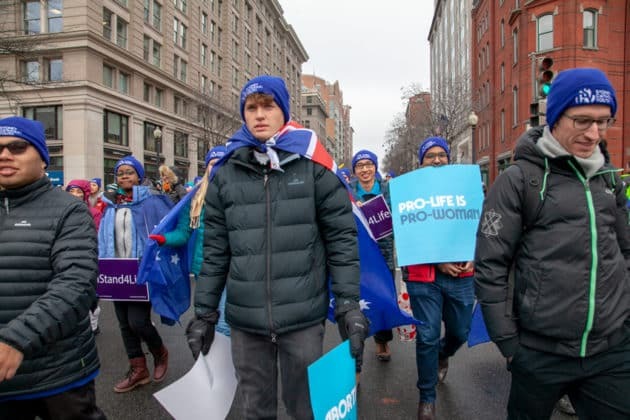 Around 20 bishops and 100 priests concelebrated the Mass, and were joined by 100 religious sisters, 500 seminarians and more than 17,000 young people bundled up against the cold weather currently gripping the nation’s capital. 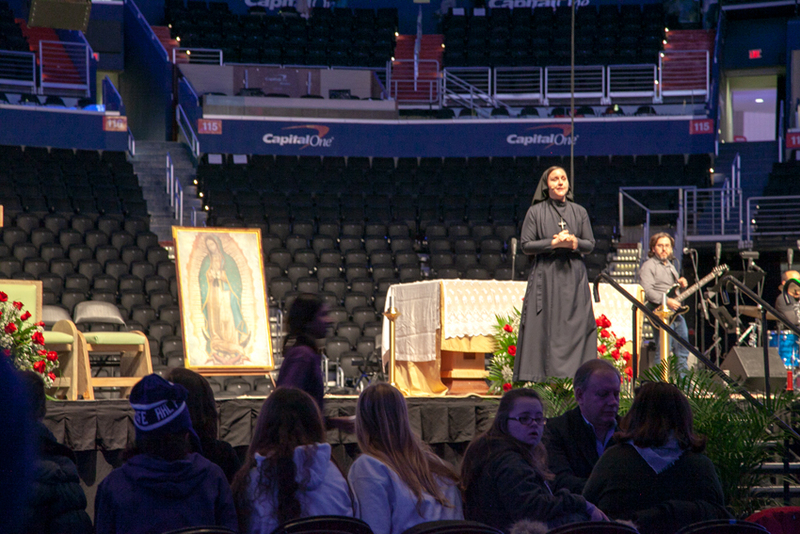 Security at the event estimated that the line for reconciliation before the Mass was about 2,000 people long. The Sydney contingent left the Mass full of inspiration after being surrounded by and praying with so many pro-lifers before taking part in the march, now in its 46th year. 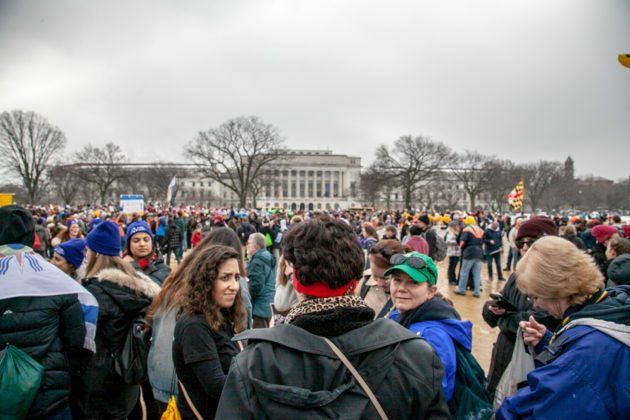 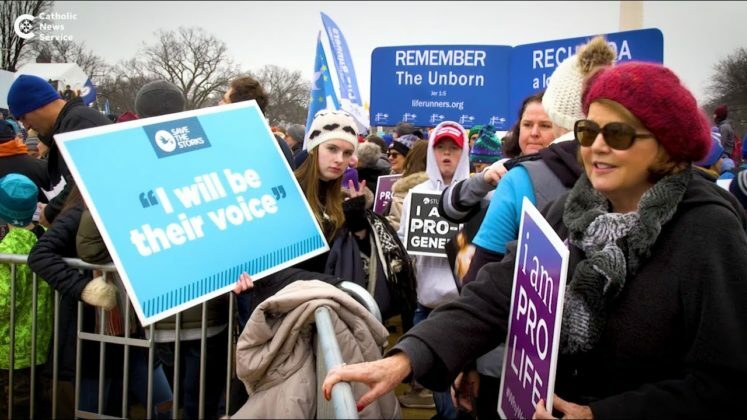 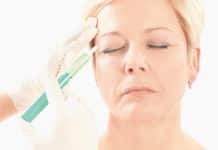 An estimated 200,000 people of all ages listened to speakers including political commentator, Ben Shapiro, US Vice President and Second Lady, Mike and Karen Pence, and anti-abortion activist Abby Johnson before marching up to the Supreme Court building. 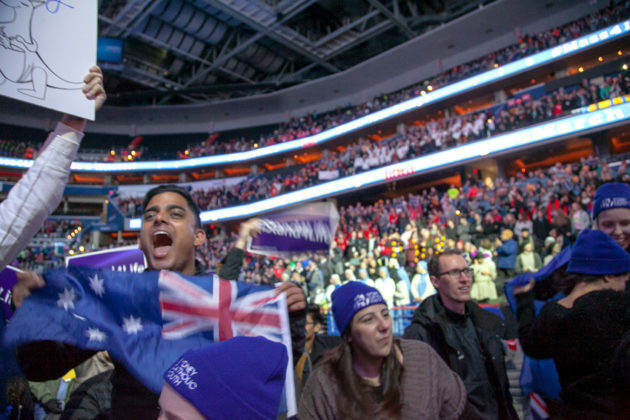 There was also a video message from US President Donald Trump. 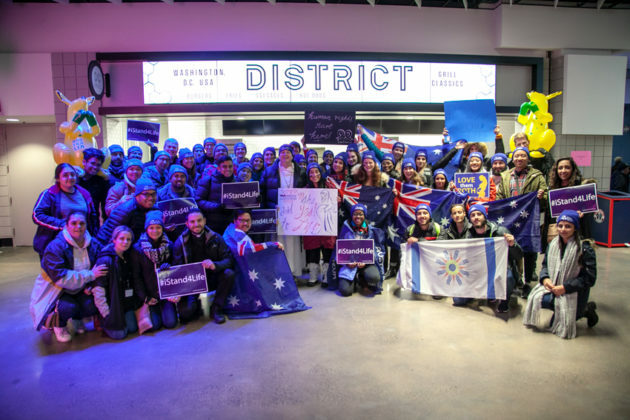 Pilgrimage coordinator Chris Lee said taking part in the march was an unforgettable experience for the large Sydney contingent. 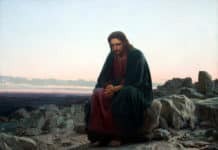 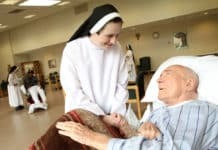 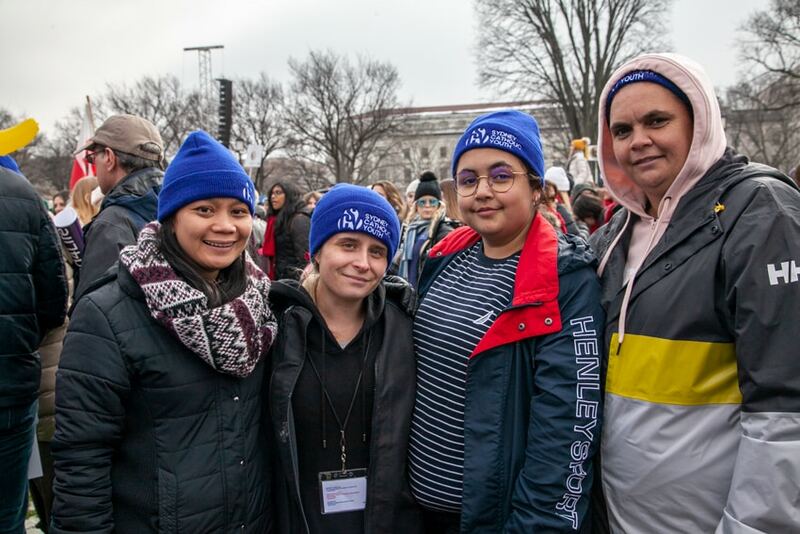 “After all the planning and work that went into this pilgrimage, it’s been such a blessing to bring a really fired up and inspired young group of pro-lifers from the Archdiocese of Sydney,” he said. 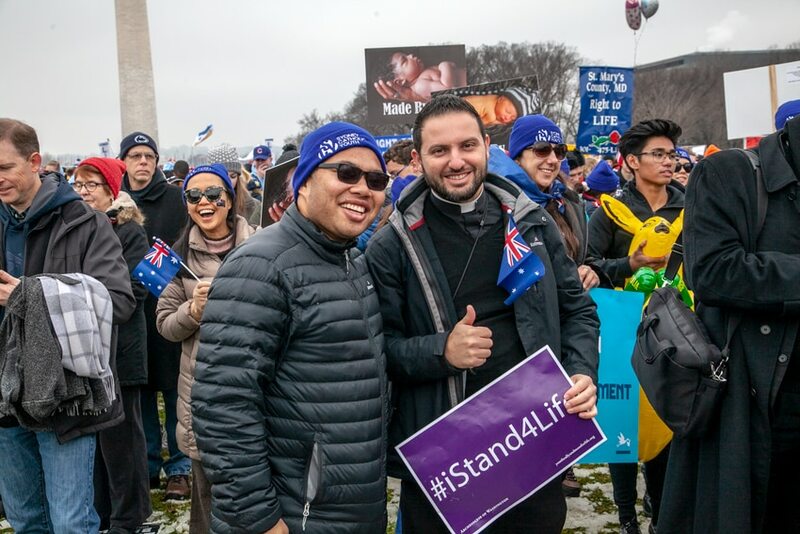 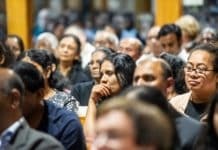 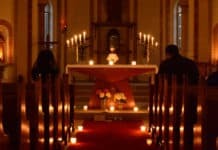 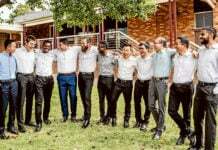 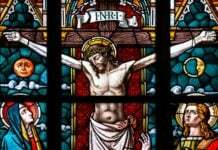 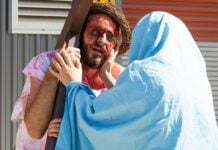 Chaplain Father Lewi Barakat said coming together to “speak up for the voiceless, the most vulnerable and innocent in society, the unborn children in their mothers’ wombs” was an experience that inspired hope. 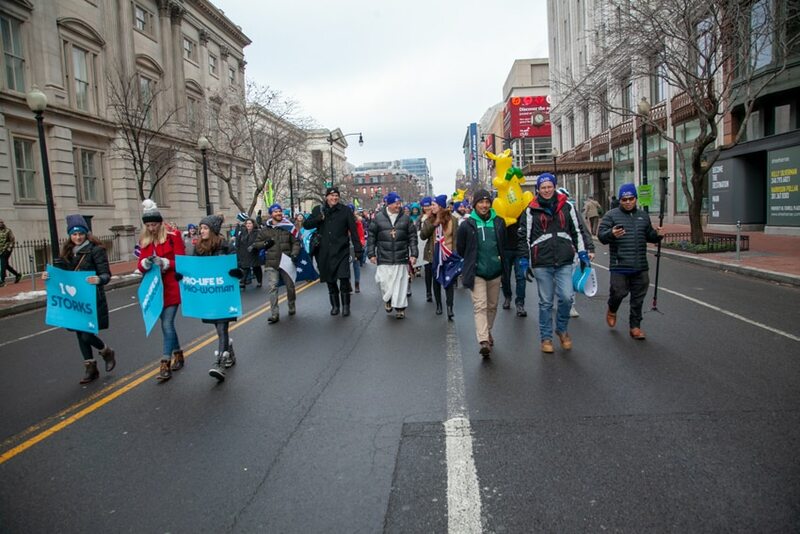 Despite the 5am start, the pilgrims were full of energy as they talked about their impressions of the march. Matthew French said that it was “incredible to see a country so proud of its pro-life cause”. 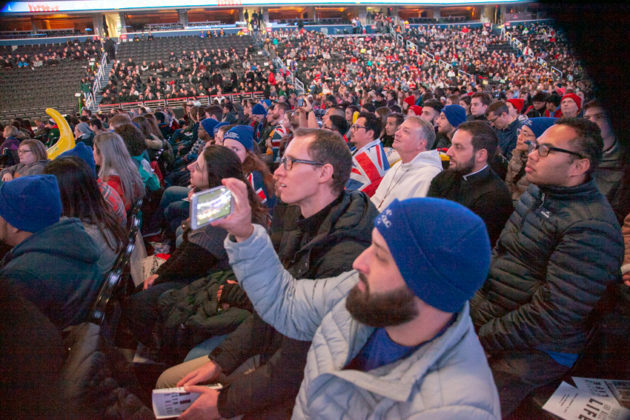 “It was empowering to everyone here and the energy was alive; there’s nowhere else I’d rather be right now,” he said. 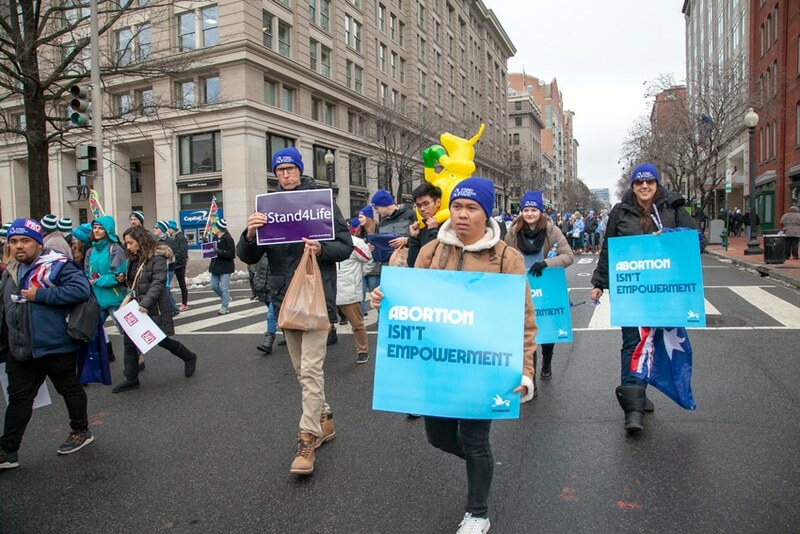 Olivia Conolly said it was great to be “surrounded by so many other young people passionate about the cause,” and that it was so important to recognise the huge violation of human rights reflected in the high number of abortions each year. Bethany Marsh carried a sign she stayed up until the early hours of the morning to make. 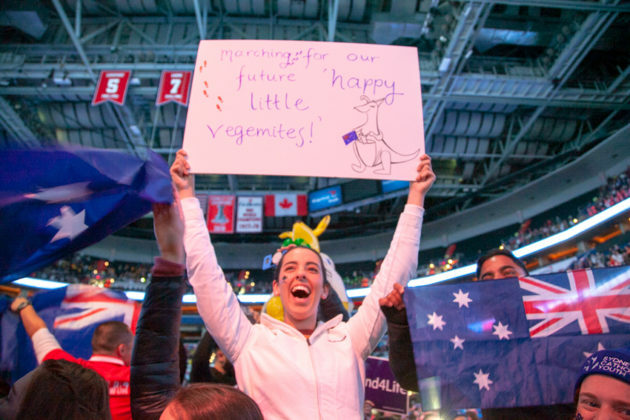 It read “Marching for our future happy little Vegemites” and featured a kangaroo and an Australian flag. 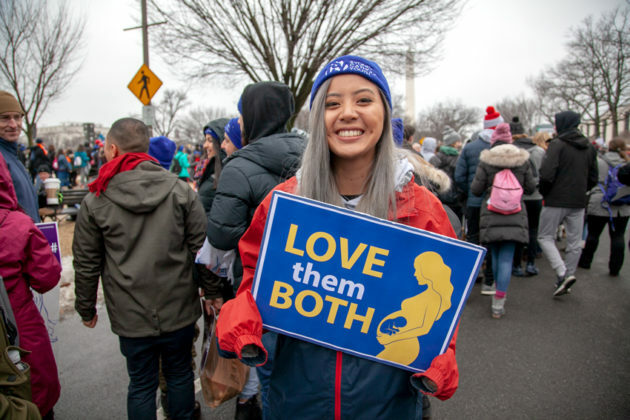 She estimated she walked with “a million pro-lifers” at the march, and was encouraged by the diversity of those who participated. 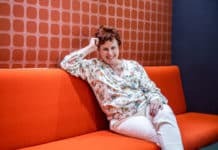 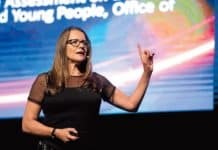 “It’s just marvellous being able to march with people from all walks of life, from Catholics to evangelicals to the Jewish communities to atheists and pro-life feminists,” she said. 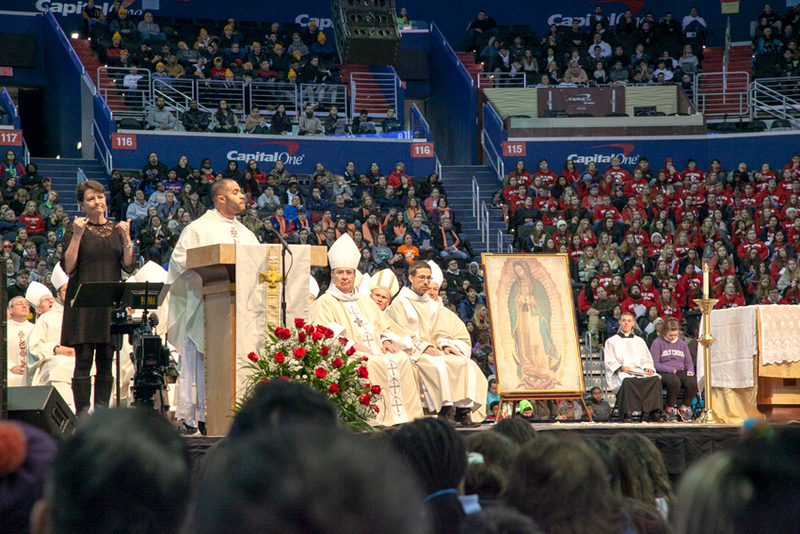 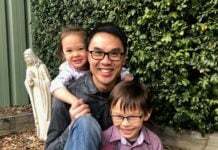 School teacher Thanh Nguyen said he was overwhelmed and inspired by the Mass and the march, and felt blessed to share the excitement with the American group. 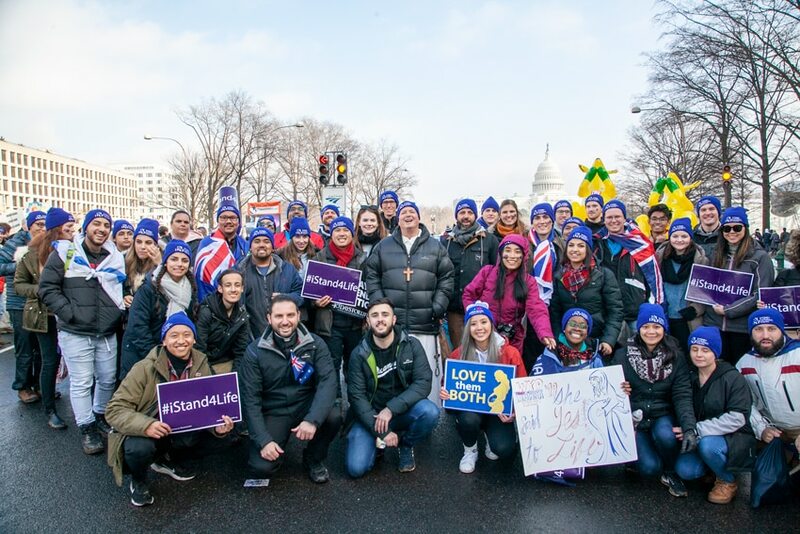 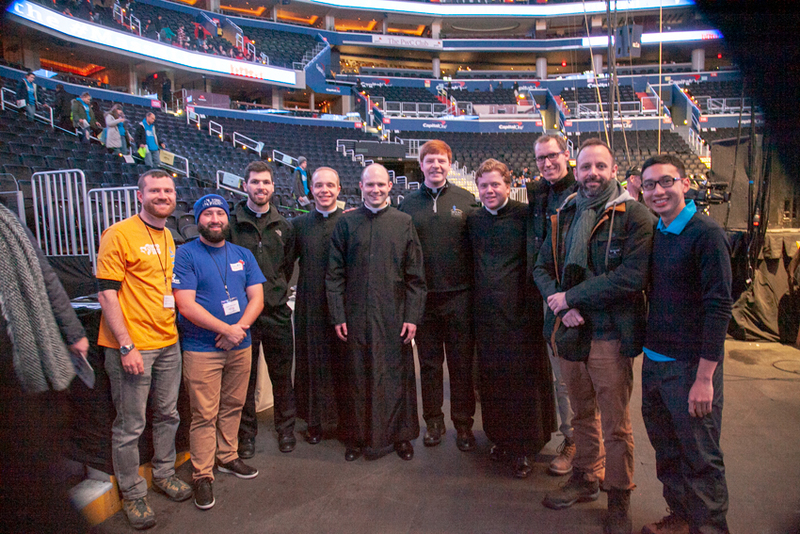 Seminarian Justin Faehrmann said the most amazing thing about being at the March for Life was seeing how many Americans backed the pro-life movement. 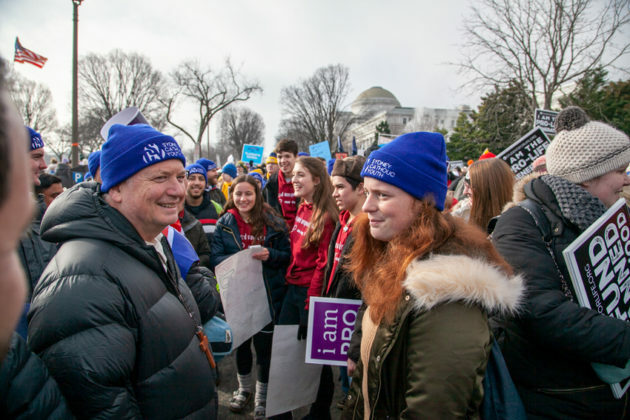 “Seeing the support of these people and listening to the support from the Vice President and the President for the pro-life generation was quite striking,” he said. Following the March, many of the young pilgrims remained in the capital to mix with new-found friends united in giving a voice to the voiceless. 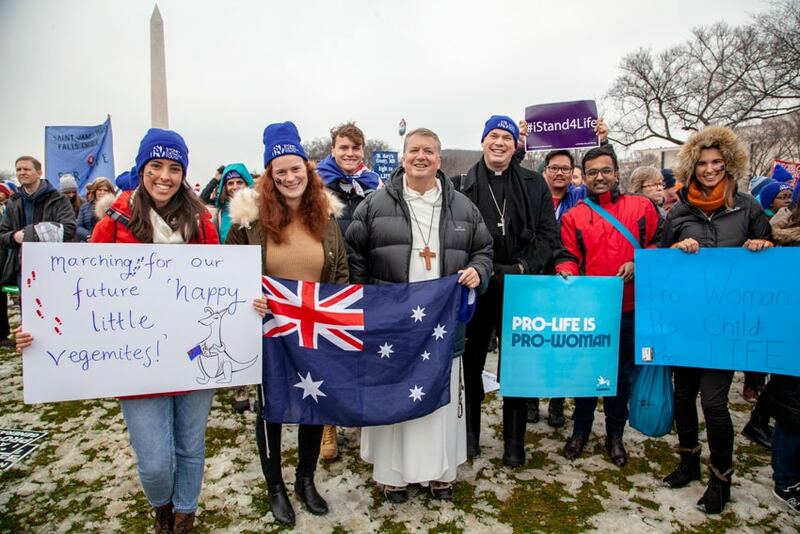 Sydney Catholics at the March for Life 18 January in Washingon DC. Pilgrimage chaplain Fr Lewi Barakat and Sydney Catholic Youth team leader Chris Lee. 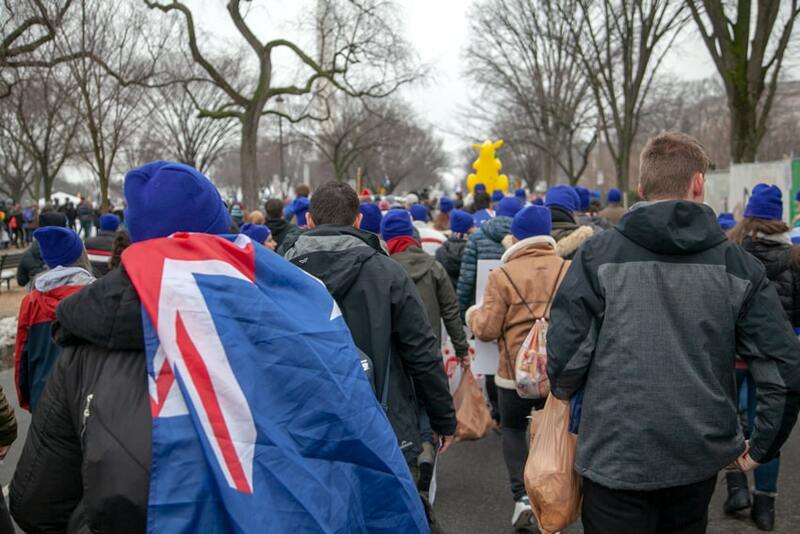 Sydney World Youth Day pilgrims joined the March for Life in Washington. 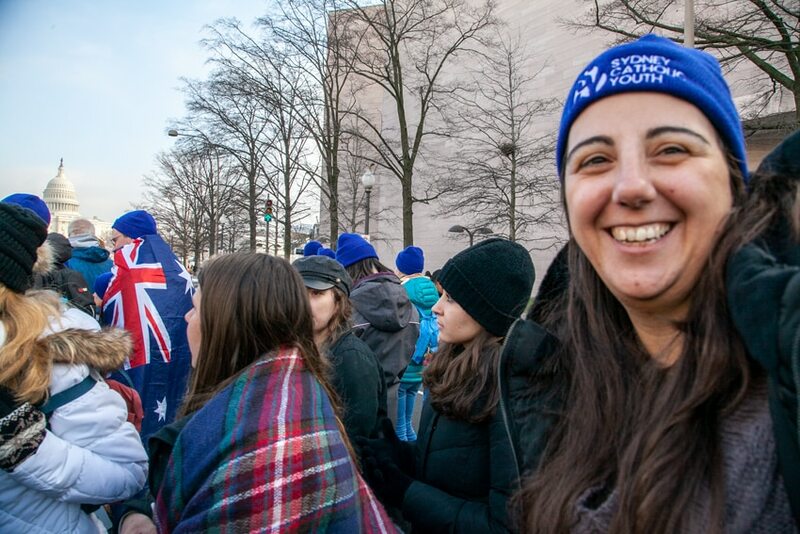 Monica Doumit at the annual march. Sydney WYD pilgrim Bethany Marsh.